Respect is not something you can conjure or demand, no matter how often you sing Aretha's anthem. Respect is earned. And often the people who are most respected don't have to try to earn it. They simply take action in a way that makes others feel admiration. Without respect, it's hard to lead a company, manage a team or gain accomplishments. Earn and cultivate the respect of those around and you’ll soon find support that can help you achieve almost anything. In the business world, there is a lot of discussion about leadership. Very often, these discussions are really about how to lead followers. Very rarely are these discussions about the skills required to lead leaders — which is unfortunate because that is where transformational business growth really comes from. The approaches overlap, but there are some distinct differences that need to be understood. At some point in your career, you'll likely be asked: What are some of your greatest workplace strengths? Maybe your boss will pose the question in your next performance evaluation; perhaps a hiring manager will ask in a future job interview. Whenever it happens, you'll want to be able to identify them. A recent article on Inc.com noted that, "Good bosses care about getting important things done. Exceptional bosses care about their people." There are some valuable lessons from this phrase. We have all heard before that happy and motivated employees produce great results. 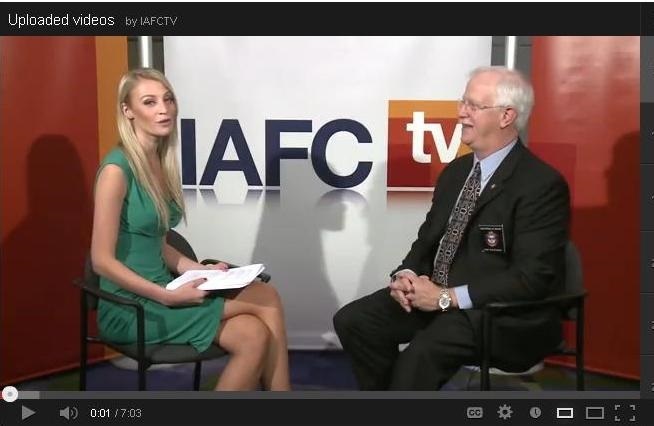 IAFCtv talked to Chief William Metcalf, IAFC president and chairman of the board, who spoke passionately about the challenges that face the fire service today and his priorities for the coming year. Could you become a legendary manager or leader? What does it take to become a great, even legendary, manager or leader? Here are nine of their characteristics, drawn from such best-in-class management books as "Good to Great" and "12: The Elements of Great Managing," (derived from Gallup's interviews with 10 million employees and managers) plus personal experience coaching countless managers and leaders.